I’m staying local for Thanksgiving this week and by local, I mean home. I’m not planning on leaving my house or making a ton of food, but just enough for me to think I made too much. I couldn’t scale down my menu because things like stuffing and scalloped corn are foods I only eat once a year so they have to be made. I also have to make something called Rice-Nut Loaf which probably sounds gross to you but it was my main protein source for 13 Thanksgivings while I was a vegetarian and I still want it each year (I might even share it with you soon!). This year, I decided to forgo the turkey and just stick to the loaf. Weird, probably, but it’s nothing I’m not used to. 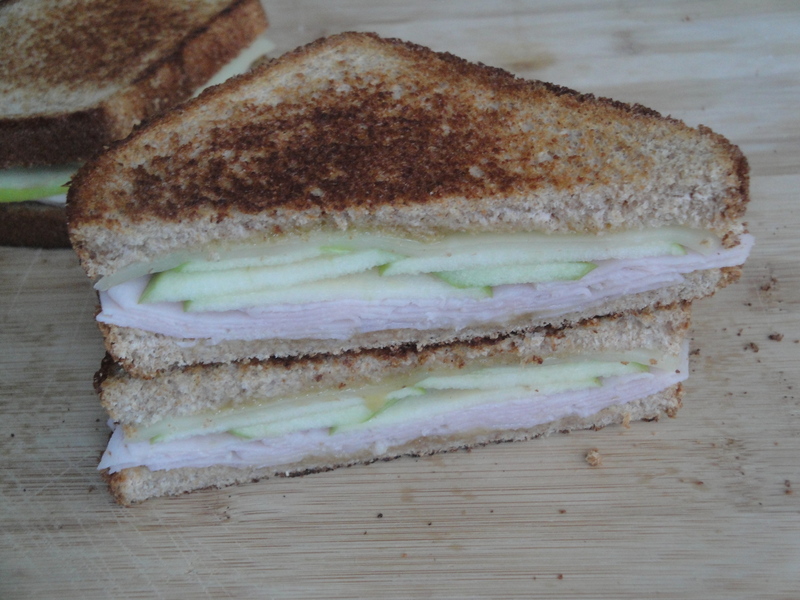 So, since I’m not planning on having any turkey, therefore no leftover turkey for sandwiches, I picked up some sliced turkey last weekend to make myself this Turkey, Apple, and Swiss Melt. Hardly a leftover turkey day sandwich but it fit my bill. 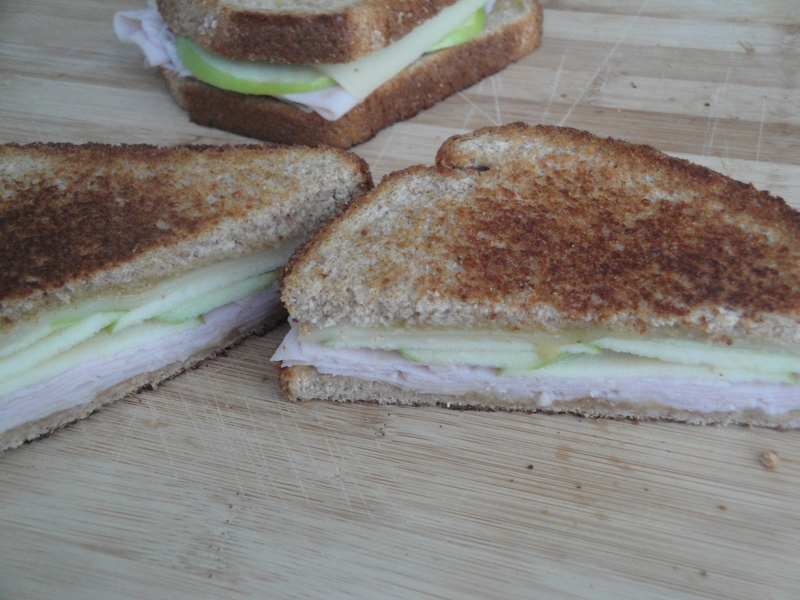 Sliced deli turkey is layered with thin slices of Granny Smith apple, lowfat Swiss cheese and homemade honey-Dijon before being toasted in a pan until crispy and golden brown. The apple provides a crunchy tartness while the cheese melts just enough to make each bite gooey. You might find yourself left with some turkey, a random apple you didn’t use for the stuffing and a little extra cheese from your cheesy mashed potatoes and realize you’ve got what it takes to make this sandwich. Even if it’s on a leftover dinner roll and all you have is yellow mustard, give it a try. By Friday, I’ll be making a rice-nut loaf-smashed potato-scalloped corn sandwich which won’t even come close to this one. But I bet you I’ll love it anyway. Have a great Thanksgiving! 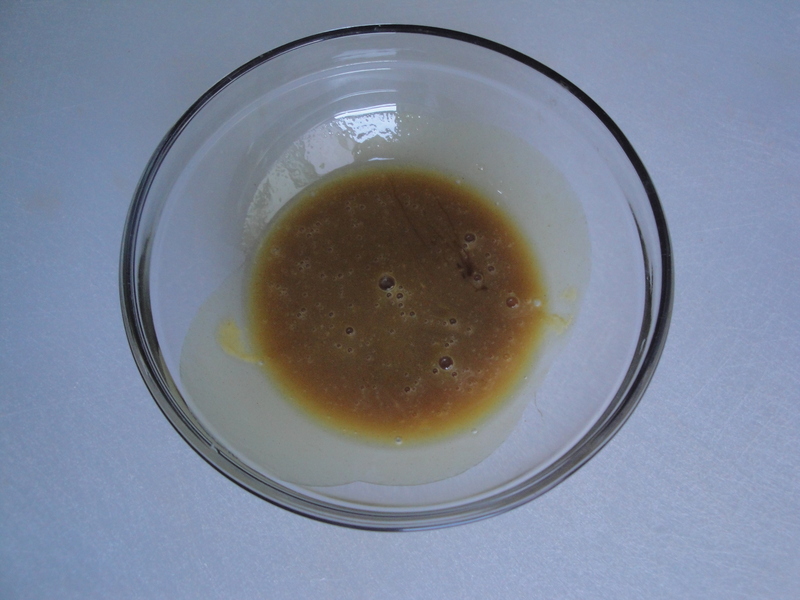 Combine mustard and honey in a small bowl. 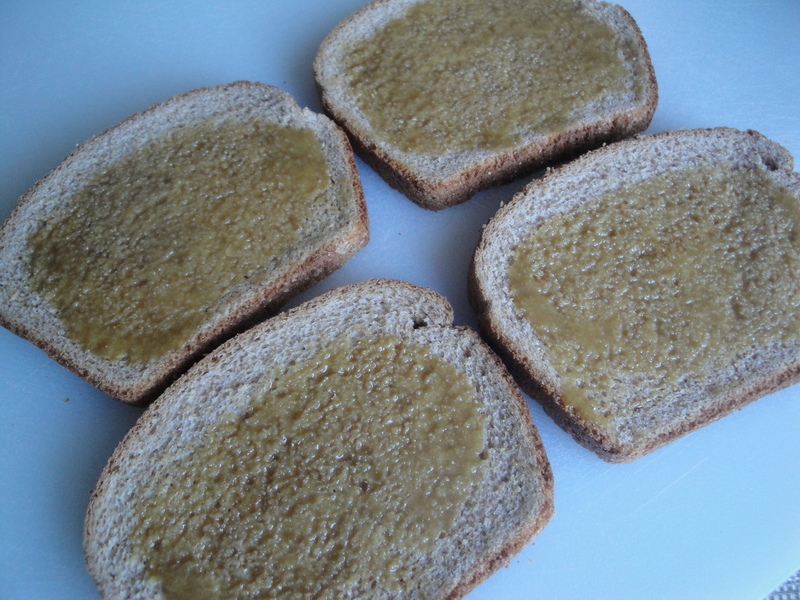 Spread one side of each of 4 bread slices with 1 1/2 teaspoons mustard mixture. 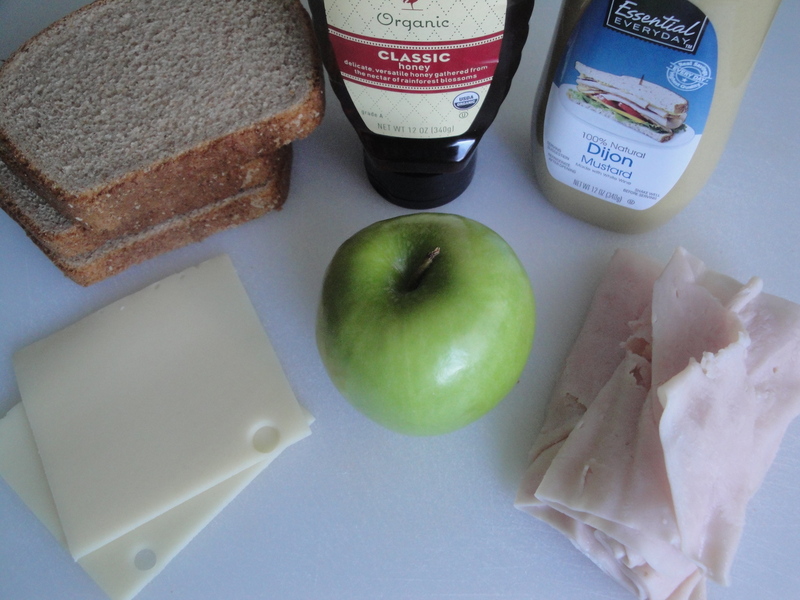 Place one cheese slice on dressed side of bread slices; top each with 5 apple slices and 2 ounces turkey. 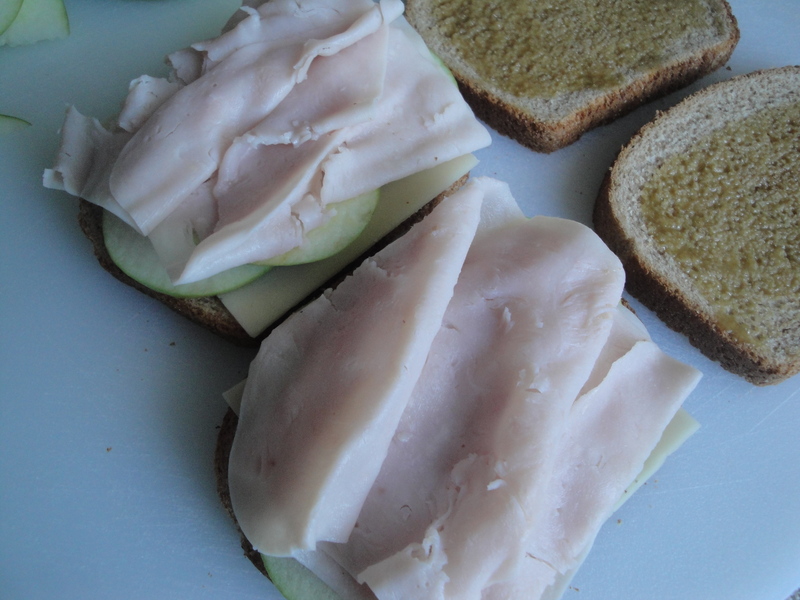 Top sandwiches with remaining 4 bread slices. 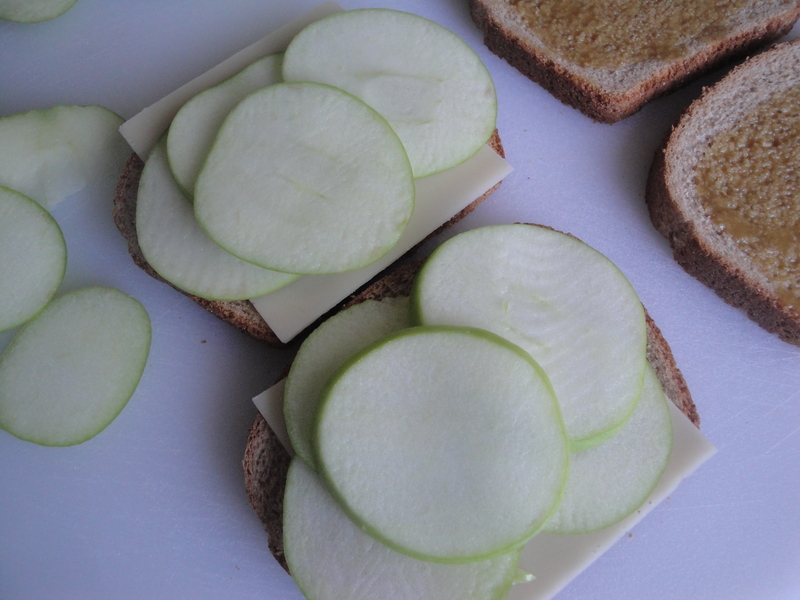 Coat both sides of sandwiches with cooking spray. Heat a large nonstick skillet over medium-high heat. 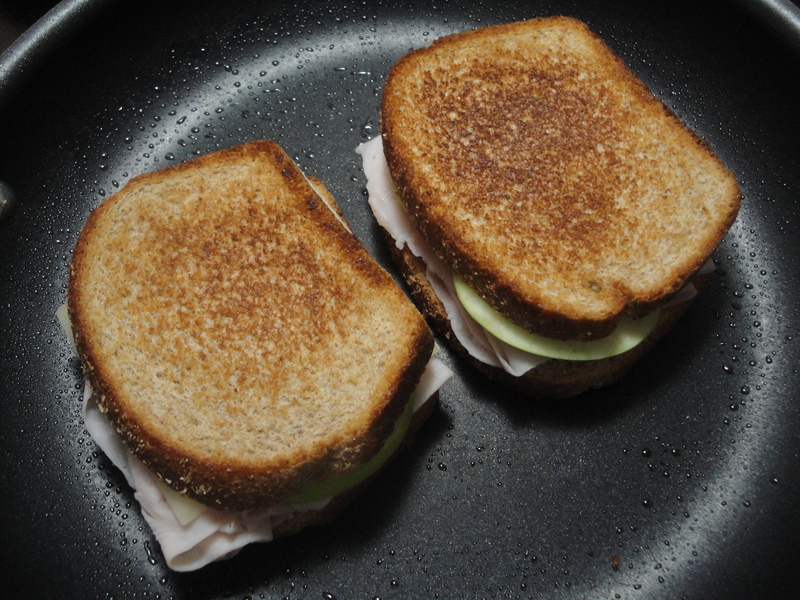 Add sandwiches to pan. Cook 2 minutes on each side or until bread is browned and cheese melts.